Stained Glass Windows and Beans! In Y2B we have been looking at the ebook ‘the easter journal’. In the book the main character celebrates easter by going on an easter egg hunt, decorating eggs and going to church. 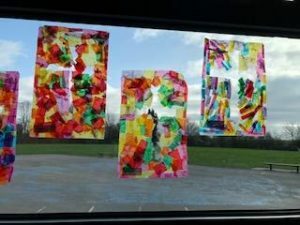 We created the stained glass windows we saw in the pictures of the book. We love them! 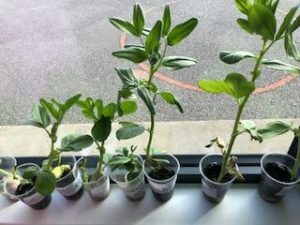 In our science lessons, we have been learning all about plants. 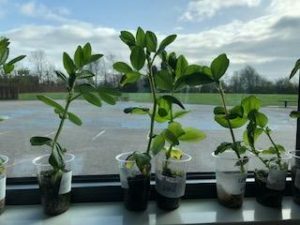 We had an experiment to see if the bean plant would grow taller in the soli or the cotton wool. The soil won! Stay and Play session in Reception. Home > Stories > Stained Glass Windows and Beans!